Summary: There are not much differences in both of these superb android version of Google. But that is how you feel and how they looks. There are many different updates and upgrades in android 7.0 Nougat. And definitely Android OS 7.0 version is much cooler than 6.0. There are different updates on many features like the Marshmallow uses the standard notification mode but, Android 7.0 Nougat allows you to modify notifications and opens up app for you. And the Doze project of Google to enhance battery life is much more efficient in this newer version of Android as compared to Android 6.0. There are many upgrades too like there are no feature in Marshmallow known as “Emergency Info” which can provide medical information and can be a life saver. But Android 7.0 have many superb updates and upgrades. The feel and the look of both versions are not much different but the enhanced features and upgrades are quite good. Let’s have a deep look on Difference Between Android 6.0 Marshmallow and Android 7.0 Nougat. The Android Nougat 7.0 is the latest update of android version released by Google. You can say that it’s the upgraded version of Android 6.0 Marshmallow. The same feature comes in Android 7.0 too, as we were able to see flat design that was bold and impact in Marshmallow 6.0 Android Version. There are not much changes in look or no changes you will feel except some lovely upgrades. The new operating system of android comes with faster updates, by which you can update your phone by doing all other tasks as it will automatically update the OS in background. As most of the work will be done on background, so you don’t have to worry about the updates. This is same updating system you have seen on Chrome Operating Systems. All you have to do is restart your mobile and you are good to go. Android 7.0 is also having safer updates, and you don’t need to wait for an optimization of the apps. You are a multitasker, because Android 7.0 is all you need when you are talking about multitasking. The new version of android allow users multitasking with multi-window option where the screen can hold many windows at the same time. The same feature launched by Google comes in LG and Samsung. This is the superb feature by Google by which a user will be able to work with any app in the mobile without the help of developer, and nothing to do much special. The screen size will split into 50/50. You can also pull down the app from the bottom of the screen or from the top of the screen and on a tablet from right or from the left. A new mode known as Free form mode for larger devices has arrived, by which you can change the size of your screen same as window allows on a PC. While some users were worried because of the background usage of Internet Data. This version of Android OS has came with a data saver option by which all automatic background processes will stop and no unwanted internet data will be used. You can also set data saver option to ignore many applications installed in the phone. Here it comes the most important feature we all should know about. While everyone’s phone data should keep private and personal. You will feel real secure with new feature’s came with Android 7.0. Even after losing your phone or someone stole it. You can be assured about your data is secure. You can grant different applications to the limited folder rather than the whole SD card which is the best part of this this Android Version. After all these technologies, life without Emoji’s is bore. So here it comes, the new update is giving you 72 glyphs and 1500 emoji’s you can use. 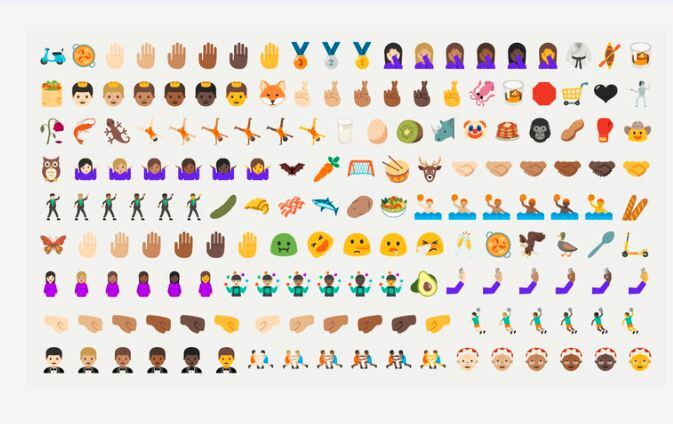 In this version of android, these emoji’s are more like humans than Cartoony. The notifications has come with a great feature by which you don’t need to open or install any app when any notification arrives, the phone will automatically open the app for you. This feature will enable in order to work. You can also open any app for just not replying to some message. You can easily view multiple notifications as well, still your phone will work faster and will consume less power. Google Project Doze was came with the Android 6.0 Marshmallow, which helps you a lot to consume your phone’s less power. When the screen is on but you are not using your phone. This time the Doze feature has come up as a major upgrade in Nougat version. Now with this feature the phone will not only consume less power while the phone is idle. It will automatically stop background processes even when the phone is in purse or pocket. The option known as “windows” that will check your phone messages and will do location updates. Now Android 7.0 Nougat will adopt the language depends on your location, which means use your phone in your way. It is able to support different language depending on different locations. User can select multiple languages for their ease. According to the order of preference, the languages can be selected. The new OS of Android has better tools for work so you can function these tools very easily. As they are safe and secure so also no need to worry about Security. Now even you want to zoom in the Home Screen or any screen of your phone, not just photos. With Android 7.0 you will be able to zoom in or zoom out on your desired screen of your phone. Or you can also adjust the size of the text. The same features you use in DVR, now Android 7.0 Nougat is having that features. You will be able to play, pause, rewind and also save your sessions to watch them later. You can also schedule a recording or if you want to record content while you are watching it, you can do so. The great feature on Android TV ever has. As many people are using Marshmallow with it’s superb features like Doze project to consume less power by pausing background processes. And different quality features like Battery saving features and Google Now on Tap which have made android user’s life much more easier. Let’s have a deeper look on Android 6.0 Marshmallow Specifications so one can easily understand the comparison between Android 6.0 and Android 7.0. While in previous versions or many other phone’s treat SD card like a different entity. And so the SD Card can never be used as a permanent storage option in your device. Well Marshmallow won’t do that, as Marshmallow allow SD card to use as a permanent storage option. So the SD cards will not be treated as a separate entity in your phone and you can store much data of your phone in SD Card. So use the space of your memory card as much as you want to store your personal data because of superb update in Marshmallow. Android 6.0 Marshmallow is supported with the feature USB Type C, which let’s your device support fast connection speeds. You can transfer data much faster using USB Type C feature. After some time, it will be the most widely used connection type. Through USB Type C users are also able to super charger their Mobile Phone as well. Same as Apple allows their users to store their debit and credit card information in their Apple Phone’s. Now after the release of Android Marshmallow, the users of Android are also capable of storing their debit and credit information in their smartphones. And by using this cool feature you can purchase many services and goods just by tapping your fingers in a secure way. Android Pay will save all the history of your purchases of good and services in a virtual account and will have a detailed history. And if you are thinking about what will you do if your phone gets stolen or you lose your phone? You no need to worry about that, after your phone is stolen you can wipe out all your details by using Android Device Manager. Using the User Interface Tuner you can add your desired options on your smartphone’s system tray. So you can view these options or use them at ease. For example, you can add the battery information in your system tray and have a detailed look on your phone’s battery. You can also add options which are definitely according to your preference. The permissions is one of the best feature comes up with Android 6.0. Whole phone will ask for permissions every time whenever the phone needs it. For example, whenever an application will ask for the permission to access your contacts. The operating system will ask for permission at at that time. And it will increase your privacy and security with these permissions system. 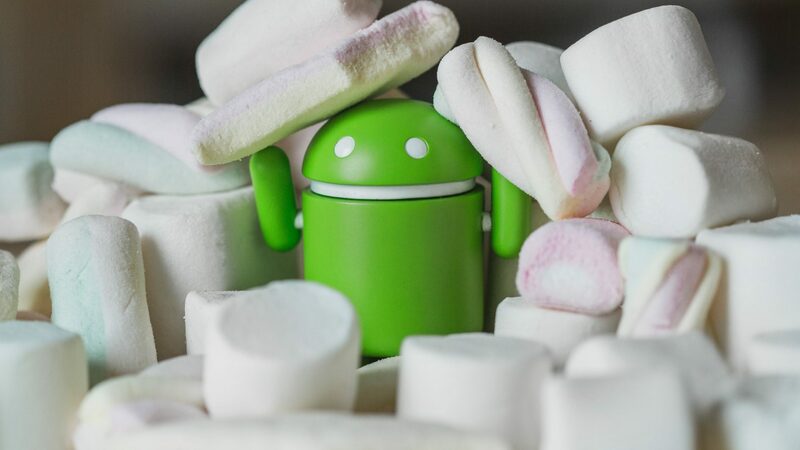 Android 6.0 Marshmallow has also a feature known as Google Now, which is now a part of the Android OS. This feature can take many advantages of your device parts and your device applications to provide you the best experience. This will double up your mobile phone’s smartness. The digital assistant that accompanies the Google Now on Tap feature will provide you with the most accurate results. While they are developed to adopt the user style, so they can come up with most accurate results. In the Marshmallow update of Android OS, Google Chrome is superbly supported with Android 6.0. By this feature user don’t have to switch between applications when browsing the internet. And same as windows chrome version, browser will save all your login credentials to come login instantly on your most visited sites/platforms. As the previous versions in android, all the cutting and pasting options for text were too disturbing. Marshmallow will allow user to hover over the text to copy that, same like iOS except for going to the top of the screen to cut, copy or paste. You can manage storage in the best way by using Marshmallow 6.0 Android OS. You will have a detailed look on your storage which will tell you the complete usage of Storage. You will know that how much storage is used and where it is used. So you can delete the unnecessary files and move the files etc. You can set the custom message on your lock screen, because Android 6.0 Marshmallow came with a feature known as text box just below the Lock Screen. You can personalize the lock screen according to your choice. You can place reminders at that text box. You can also set different quotes and name tags there, that all depends on you. A wide range of applications is supported with Android Marshmallow 6.0 fingerprint scanner update. So many applications can use fingerprint scanner because of Android 6.0 Update. You can login many applications using your fingerprint just like Evernote. And you can also have authentic purchases by using fingerprint feature. Doze is the best feature of Android 6.0 Marshmallow, which with the help of sensors. Will put your smartphone into a deep and calm sleep mode where no background processes are using your battery and consuming your smartphone’s power. When your phone will detect no action of your’s it will directly stop unwanted apps and enable phone’s battery to last longer. It will have full control of all applications until your activity. Use App drawer feature especially designed for the users who use many applications. This feature will let you find out your desired app quickly in an easy way. All users need to do in order to view available applications is to scroll vertically. Android 6.0 Marshmallow was released in October 2015 while Android 7.0 Nougat was released on 22nd August 2016. The android version 6.0 Marshmallow does not support Split Screen Multitasking while Android 7.0 Nougat supports that feature with almost all applications. The android version 6.0 Marshmallow does not support Instant App Feature but the newer version of Android Nougat will use a bit of an application when needed. This will be used one-time and then the app will be discarded from the memory. The android version 6.0 Marshmallow is having Standard Doze Mode but with Android 7.0 Nougat version Doze mode has come with some upgrades. It enhances the battery life, and it’s refined before the previous version. It will even work when your phone is in Pocket or Purse. The android version 6.0 Marshmallow is having Standard Update mode while Android 7.0 Nougat update will behind the background. The android version 6.0 Marshmallow is having Standard Notifications mode while Android 7.0 Nougat comes with a more detailed notification update. While this notification update is more easy, fast and efficient. You can reply directly from notifications which is available in this upgrade. There are all standard call features in the Android 6.0 but Android 7.0 is having improved and quick settings for calls like blocking calls, screening the calls and many other customization. The android version 6.0 Marshmallow uses standard Data Saving option but Android 7.0 limits background usage of Internet data to super save your data. 6.0 Marshmallow android version does not support Android TV feature but 7.0 Nougat supports recording and many other modes so you can watch the session later and much more. Again 6.0 Marhsmallow does not support this feature but 7.0 Nougat supports this feature by which you can resize your screen to any size same like you can change the size of screen on PC. 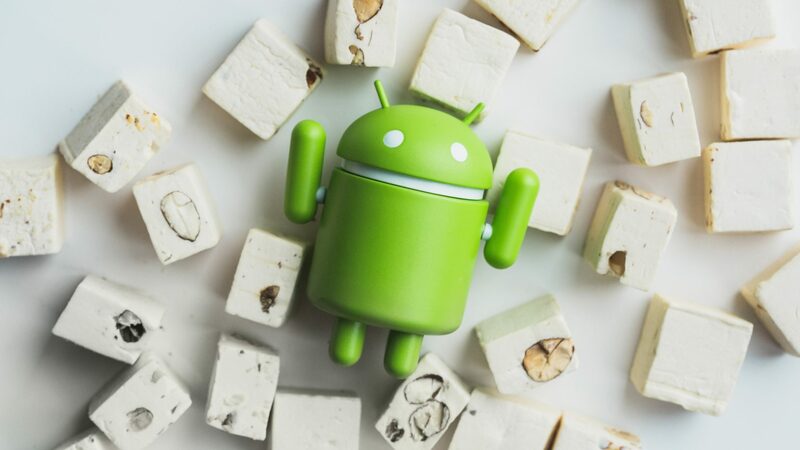 There is no emergency info feature in Android OS 6.0 Marshmallow but Android 7.0 Nougat provides this feature and can save a life by giving medical information. Android 6.0 Marshmallow vs Android 7.0 Nougat is that the newer version of android has come with refined features of 6.0. But after having a look on both of these versions of Android, you will see that there is not much change in looks. And feel of both operating systems are still the same, but the upgrades are awesome which you will definitely love.